Sign up and receive Property Email Alerts of Duplexes for sale in Nuutgevonden, Stellenbosch. This modern up-marketed duplex house is ideally located in a fully Security Estate nestled within the Stellenbosch Winelands surrounded by the Welgedact, Nuutgevonden and Nooitgedacht Estates with easy access to Central Stellenbosch and major routes. 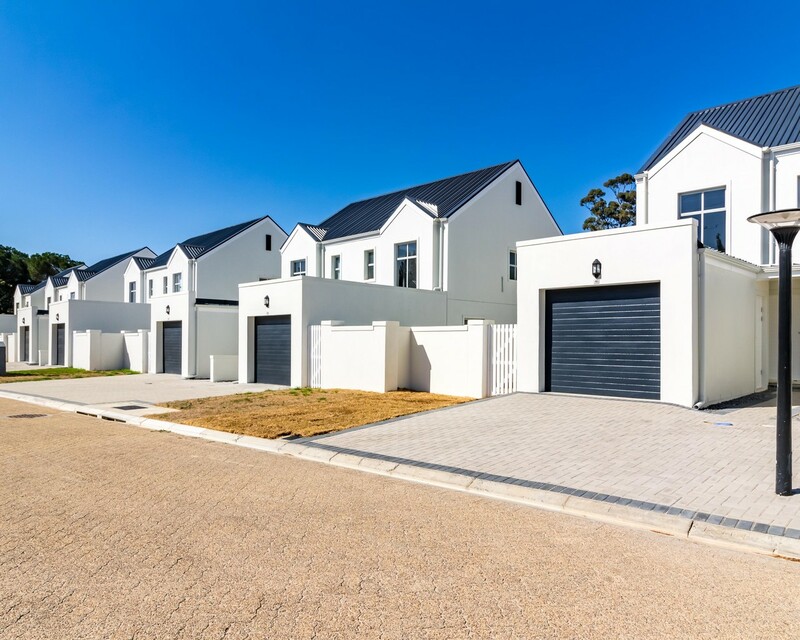 This security village offers the residents the comfort of living in a secure environment with 24hour manned security and a 2,1 m high perimeter wall with electrified fencing with additional security provided by access via Nuutgevonden Estate. The home offers a fully enclosed private garden and offers beautiful modern internal finishes.The home features: 3 bedrooms upstairs with built in cupboards and carpets, 2 bathrooms, with a stylishly designed open plan kitchen fitted with modern built-in-cupboards, electric oven and hob with granite counter tops, a double sink and 2 plumbing points for a front-loader washing machine and a dishwasher for that additional comfort and convenience, a single automated garage with additional open parking for one vehicle in the driveway. Sign-up and receive Property Email Alerts of Duplexes for sale in Nuutgevonden, Stellenbosch.